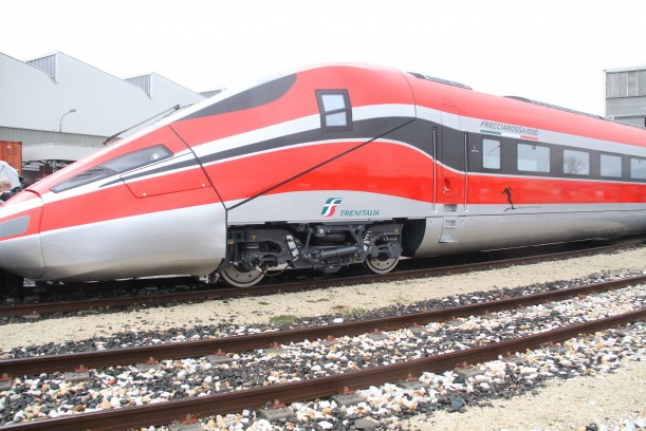 Ansaldo Breda, the Italian Finmeccanica Company of the railway industry, following the country-trend, is in debt for 10 years. The company in the first half of the year has doubled its operating loss to € 68 million, while revenues fell by 26% to € 264 million. The free fall of the Italian economy, thanks to the great work of the wicked political class, now seen as by most of the people incapable and corrupt, is also found in the railway sector. Performance very negative for the group’s balance, due to which the AD Alessandro Pansa, a few weeks ago has for the first time talked about the case of a separation between the activities that work (high speed and subways in particular) and those which are less profitable (trace regional transport, trams and revamping but especially committed stranded), confirming rumors circulated during last months. Thus, in the next future, we’ll see the birth of a “BAD” Company and a “NEWCO”. This scenario is unwelcome to trade unions, since the uncertainty for factories strategically weaker (first of all, the one in Palermo). On the other side, it is probaly that the “NEWCO”, purified by the critical factors of the old Ansaldo Breda, could be more attractive for potential partners, like GE Transportation, Hitachi and the spanish CAF, which in the past have shown interest for the company.